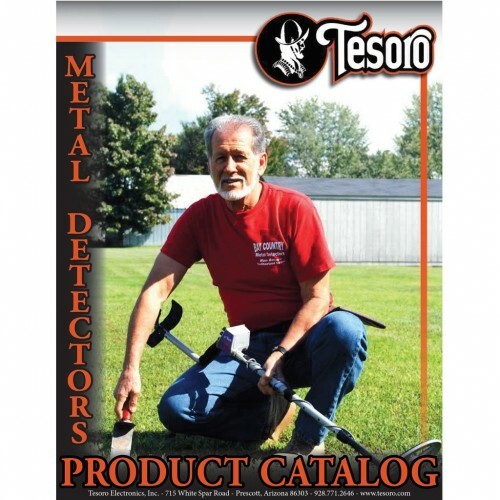 Showing results for tags 'tesoro detector'. Hello everyone, I have just joined up and this is my very first post. I'm surprised to see fellow detectorists here from New Zealand. I've been here in N.Z. for almost 12 years now and only bumped into one other detectorist just a little while ago, some newbie from Christchurch going back home after his first trip to Kyeburn Diggings up Dansey's Pass. Some older dude with his new Gold Monster 1000, he stopped off at the beach here in Timaru for a snack and his afternoon nap. No luck for him this time and he was complaining about all the metal the old time miners chucked about there. That's along drive to about 2.5 Hrs one way. We were just heading home after hanging out there for the afternoon, when he saw us just after testing out my wife's new BH Commando TK4. So we had a little bit of a tail-gate meeting with him. He wanted to showed us his GM 1000, it was nice to have a look at one up close and I took it for a bit of spin in the dunes. Anyway I'm not here to chat about new acquaintances, got much more important stuff to talk about. I would like to Hyper-Tune or Super-Tune my Lobo ST and need some help with it. I Was thinking about putting on an external ground balance potentiometer to get some more depth, but first I need to know how it all works. Because my wife and I are Newbie's too and I'm trying to teach myself, my beautiful and talented assistant the "wife" all the ropes about MDing. So if anyone can help in anyway it would be very much appreciated. A German guy did that to his Lobo and he seams to be happy with his mod I think his name is mschahl and another guy Keith they both seem to very knowledgeable about the Lobo ST. I would love to here about what is and isn't, the up and down's, the in's and out's and what mod's I could do with these two MD's the Lobo and BH TK4. Also I could get a new PCB for the Lobo and put it in a build box like the one shown or drop it straight into the Lobo but don't know where or who could build it for me. This way I can take out the factory one to keep for a back-up incase anything goes wrong with my build. Thanks' in advance for all your help and it's nice to be here, I don't feel so lost now. Paul. 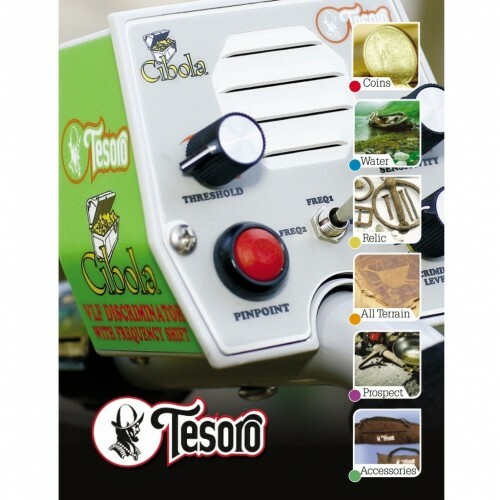 I know it needs to be in the classifieds and maybe thats where i will put it, but thought id ask what a gently used tesoro vaquero in perfect working order would sell for? I have been using the 9x8 concentric coil mostly for park hunting and trashy areas and wondering how good the 12x10 wide scan coil is on depth and small targets or would I be better off with a Nel Thunder or something similar? I find the 9x8 a little tedious on big fields. Thinking of getting that coil along with a lower pole and other parts as back up since Tesoro seems to have evaporated. The lobo needs repair, does anyone know where I can get the Loved Lobo repaired? I just got going and then there it was gone! lost my pin point mode. Why is this happening to me ? I just want to MD all day long. Someone told me to get rid of it, but we just got together. How could I do that to her. So any help would be of great help, at a moment like this. I can't send it back to the factory because the factory don't want it either now that it's all gone quite. Think I'll sit down and cry now. Has anyone done a tone mod on their Vaquero or know how to DIY? Also looking for a schematic diagram! Thought I would throw some love at the Tesoro forum since it has been quiet here since Steve set it up. I recently purchased a Vaquero Black with both the 12x8 and the 5.75 widescan. I am still choosing my locations and learning the settings, but there is just something about running a Tesoro... so much fun!! My intent was for it to be a good grab and go for tot lots, curb strips and edges of basketball courts, though I do have a Compadre as well. But the 12x8 also lends itself to walking into the field as well. While I am still trying to understand the true depth of this unit, it is definitely meeting my initial expectations, and I believe it can also be a good unit to hit areas that I have already covered with my other detectors, and possibly squeak out an additional find or two.. especially with the 5.75 coil. I have already found a couple of junk rings and a good ratio of clad for the actual swing time I have posted... looking forward to finding some gold, or something with a little age to it. HH Tim. Hello new here and to detecting. I bought a new Lobo st in 2004/2005 played with it a bit and pulled the batts and put it away for a few years. i didnt have much luck with it . i have a gold piece 24k about .51 grams and .400 long .200 wide and .050 thick, how deep should i be able to detect this piece. ive got several silver dimes and quarters older pennys going back to 1890s. im setting up a test field with the coins in zip lock bags. and rope markers added some junk and nails as well . should i be able to detect a 1971 penny at 6 inches in any mode? im getting nothing, and i see videos at 8 ,10 ,12 inches and nothing on the gold at 3 inches, could there be something wrong with the detector? I just havent been able to find the sweet spot on my vaquero ground balance the last couple times i used it cant seem to find that constant hum, either to negative or to positive, can someone help me out? I found a Tesoro Silver Sabre Umax, the old one with the red pinpoint button. Has a 8" coil and looks to be in good shape 150.00 with a cheesy pinpointer. Any thoughts for making it a backseat toy? Update! I got it for 100 bucks and it's like brand new! My wife grabbed it and now it's hers. I put a fiber lower rod on it with a nylon coil bolt and it works great. She has a treasure pro and this is lighter for her and easier to operate. It's the small box one Steve like the modern silver uMax.But with an all metal pinpoint button and a threshold control. I'm trying to talk my sister out of her unused Compadre but for some reason it likes the closet at her house. Depth isn’t everything. I prefer recovery speed over depth really, but I was in Virginia recently and dug a 10 inch wheat and thought... wow. Really? So I supertuned the Vaquero and it was able to hit a 15 inch quarter! 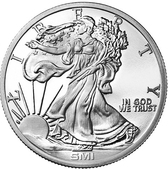 Now I caught some heat on other forums posting this and folks saying no way and on my 15” coin it was jumping. It was around the hole and due to EMI but the coin is a repeatable beep. I normally don’t hunt with the Vaquero but Man is it a deep machine! ...I've got a Tesoro Mohave coming in (after using the Minelab 305 last year, and the Tesoro SilverMax a few years back)(oh, and also a Teknetics EuroTec--arrggg)...the Mohave has a Ground Condition switch, and I'm curious about mineralization in southwest high desert (specifically central NM)--is it generally high or low mineralization, though I realize there's quite a varied geology in NM? PS: chose the Mohave from Tesoro's lineup because I figured a new machine equals new and better circuitry, and ditto the Epsilon 7" coil. What say? Today I picked up a Compadre at a great price to try out since I've read so many good things about Tesoros. I brought it home and played around with it a little in the yard. I think I've cleaned out my yard of good targets so I was just listening to the tone. Then walked into the garden against the house. I got a hit where I've been over multiple times before with an AT Pro and I bent down to check it out since it sounded like it was right on top. I moved a rock out of the way and probed around with the pinpointer and nothing. So I scanned the spot again and there was no beep and then I started scanning around thinking I moved whatever it was when I brushed away some dirt. Come to find out it was the rock itself that was making the detector beep. Here's the weird part...I had rolled the disc all the way up to max and it still beeped. I bent down and put the pinpointer against the rock and nothing. I went inside and grabbed my AT Pro and scanned the rock and again nothing. I thought it was weird and walked away. Then a little later I went to a park in my home town and was checking the playground with the mulch/woodchips. I found a dime and a zinc penny, both gave good repeatable tones and I had the disc set to the "N" in iron. Then I walked out of the playground and started checking around the edge in the normal dirt and was getting beeps all over the place. I turned disc up to max and again was getting beeps from rocks of the same type. These rocks are ignored by the AT Pro, the Garrett Pro Pointer AT and a Whites CoinMaster Pro that I had before I'm pretty sure these rocks are called basalt, they are brown on the outside and if you crack them open they are pretty solid and uniform and a blueish gray color in the center and a lighter ring around the outside. I'm also pretty sure they are high in iron and of volcanic origin (I learned about them years ago in grade school). I can upload a picture and a video of the Compadre hitting on them if anyone wants. I guess my question is for people using this machine, how do you deal with these type of rocks, do you learn the subtle nuances of the beep given off by these rocks compared to say a coin or junk or do you just try not to hunt in areas where they are concentrated? I honestly bought the machine to try and learn it and probably use it in playgrounds and tight junky areas. I don't see myself using it in fields or anywhere wide open since it has the 5.75" coil on it. 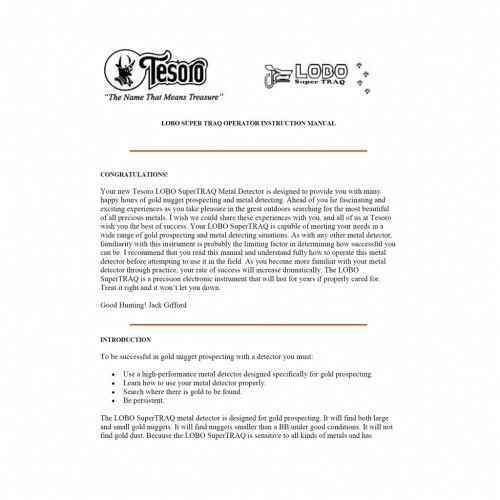 Tesoro declined to keep sponsoring the Tesoro Forum on Findmall so it has been renamed the Relic & Metal Detecting Forum The explanation was posted here. I've been in the hunt mode to find and acquire one of the rare 3X18 Delta 4 pin Hot Technology cleansweep coils for about 3 years. Finally got my hands on one. These coils have been out of production for about a decade and they're about as rare as 'hen's teeth'. Tesoro still makes the Cleansweep in the 5 pin Epsilon configuration but not the 4 pin Delta . Mating this coil up to my Lobo Supertraq has provided me with some interesting observations. Generally speaking it does cover a large swath of ground with each sweep, but the sweep speed has to be slowed down to say 1/2 to 2/3 of the speed of the stock 6x10 elliptical coil to get a good target response. My best depth was a measured 5 inches on a quarter on edge. It pinpoints fairly well off both the toe and the heel, but I do a full circle of the target to make sure the target is within my 6 inch cut plug. The coil discriminates very well. Now the interesting stuff. First, it does not fully ground balance in the All metal mode. Pumping the coil down and up, it sounds off loud on the down push and does not respond on the up pull. However, it is still functional in the AM mode, targets are still picked up clearly and the pinpoint function still works. Both modes, All Metal and Discriminate achieve the same depth. I ran the Sensitivity at a gain of 3, more gain didn't achieve any more depth. In All Metal with a smooth threshold the coil ran stable and only responded to ground tracking and targets. In Silent Search Discriminate (setting of 3 1/2) the coil had at times a propensity to load up and give off erratic chatter, it also sounded off on 'bumping'. I found the best way to run the coil was in AM and upon locating a target I would do a quick switch to Disc. to determine to dig or not to dig. I will do some further testing but I believe I have found it's boundary limitations. A good coil, it just has some quirks. I would imagine this would be more stable on a Vaquero.